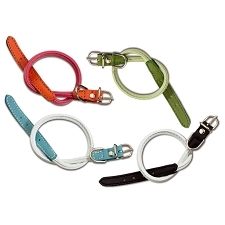 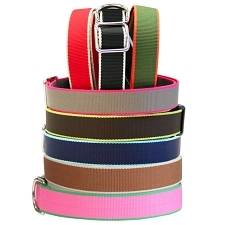 Striped dog collars are a great way to coordinate multiple colors into your dogs wardrobe. 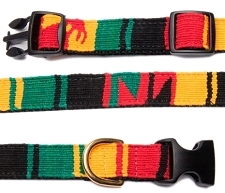 Support your favorite sports team with a perfect color combination. 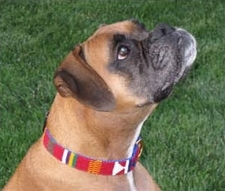 Try picking out your favorite color combination for a fun way to show off your dog's personality. 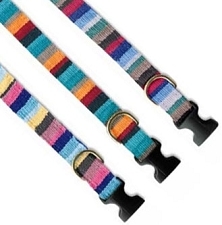 Add the matching striped leash, and your dog will surely be the most fashionable dog on the block!